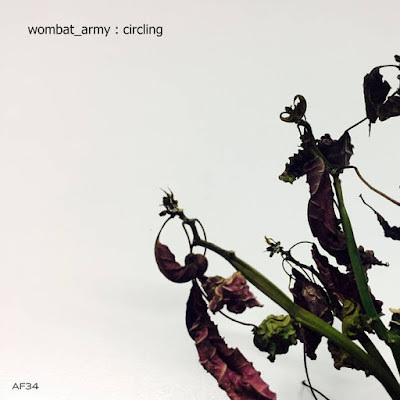 'Circling' is the 4th album by London based composer/producer Martin Webb under the name wombat_army. Recorded over the course of 2016, the music was originally composed to be performed live along with rare archive films at a secret film society. Combining live cello through FX and looping pedals with laptop and synths, the intention for the music was to create richly textured atmospheres underpinned by a strong sense of melody and structure that would act as a live score to the visuals, creating an immersive and cinematic experience.